Hawaiʻi Island police have located 22-year-old Kyson Kaleiwahea of Volcano, who was wanted on outstanding warrants and for questioning in connection with burglaries in Hilo. 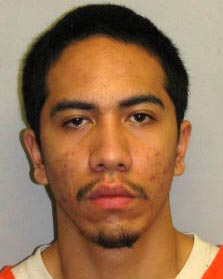 Police located Kaleiwahea Monday afternoon (April 1) at a shopping plaza on Puainakō Street in Hilo. 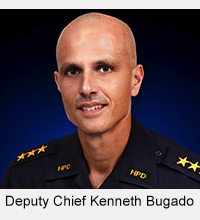 As he tried to run from officers, he slammed into a glass door at a department store and cracked the glass. He was arrested on three warrants, one for violating probation in a drug case and two for violating probation in burglary cases. His bail was set at $150,000. He was also arrested on suspicion of third-degree criminal property damage but was not charged pending further investigation. 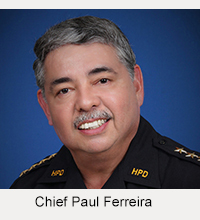 He was held at the Hilo police cellblock pending his court appearance Tuesday (April 2).